Kachin, Myanmar – Five years ago, armed conflict engulfed Nam San Yam Village in northern Myanmar, forcing Aung Htwe to flee for his life. Since then, he has lived in the Maina AG displacement camp, unable to return home. Yet even in this safe haven, he sees – and hears – violence all the time. Gender-based violence is largely considered a private matter, and stigma prevents many people from reporting it. As a result, data are difficult to gather. 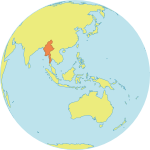 Still, experts say there is a high degree of acceptance of violence against women in Myanmar. And among those living in protracted displacement, the despair and fear can exacerbate matters. 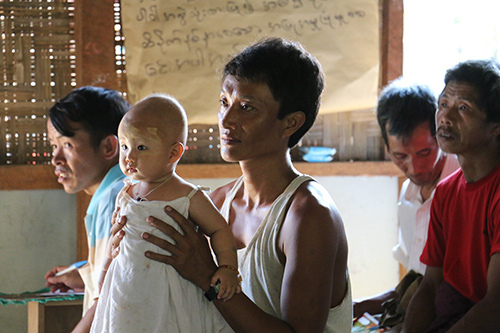 In 2014, UNFPA started an initiative to end gender-based violence in the displacement camps of Kachin State. The initiative focuses on both preventing violence and responding when it takes place. UNFPA-supported Women and Girls Centres provide care, including medical, psychosocial and legal assistance, to survivors of violence. And a network of male volunteers raises awareness of the need to end violence, and to intervene if it happens. 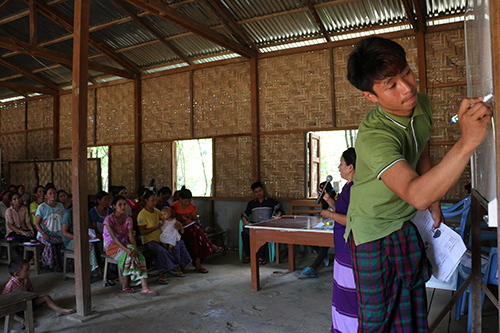 Ko Aung Htwe joined the network, which spans 38 camps in Kachin, and received training in how to reach out to other men. “Now I know what to do when I hear or see a man beating his wife in the camp. I know how to approach him and how to involve our community leaders. I’m proud to be a man who stands up against domestic violence,” he said. Zau San Naw was 15 when the conflict reached his home near Laiza. With bullets flying through the village, he and his family ran in different directions, disappearing into the night. After they reunited, they made their way to the Myo Ma camp. Job opportunities are limited for those in the camp. Some find work cutting sugar cane or collecting firewood. Others leave the camp for the jade mines in Hpakant, infamous for mining accidents and drug abuse. But for Ko Zau San Naw, working as a violence-prevention volunteer has given him some direction. “My assignment as a gender-based violence volunteer helps me to carry on,” he said. He also presides over awareness-raising sessions for men and boys. Though the sessions are about ending gender-based violence, they are helpful to men, as well. The male volunteers work closely with female staff from UNFPA-supported Women and Girls Centres. Awareness-raising sessions are run collaboratively between male volunteers and female staff from the Women and Girls Centres. These efforts are having an impact. A 2016 report from the Durable Peace programme showed that people living in the displacement camps are far less likely to think that domestic violence can be justified than those who live outside the camps. They are making a difference for people like Ko Zau San Naw, too. “When I despair for my own life and future, I hold on to the pride that I feel as a gender-based violence volunteer and for helping my community,” he said.